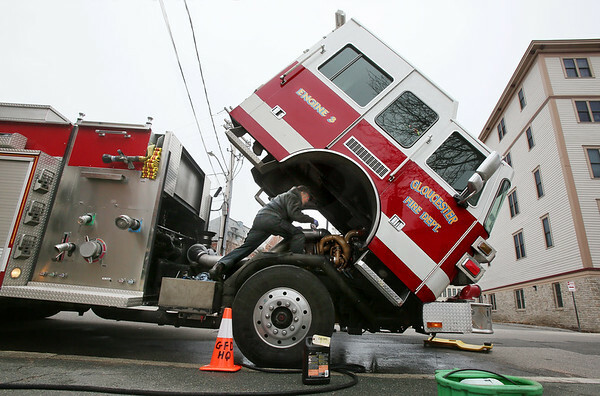 Master mechanic John Wheeler climbs underneath the cab of Gloucester Fire Department's Engine No. 3 to fix a leaky radiator hose. A full-time mechanic with the fire department, Wheeler is responsible for keeping all of the department's vehicles -- including six pump trucks, two ladder trucks, four rescue trucks and other assorted vehicles -- in good working condition.